You are all probably aware that I am a girly girl. And if you didn't then surely my blog design didn't give you a little hint? I love flowy skirts, floral patterns and lots of pink! However, as you know I am a huge vintage fan and I am really into the 90s grunge look, which may come as a bit of a surprise to some people! 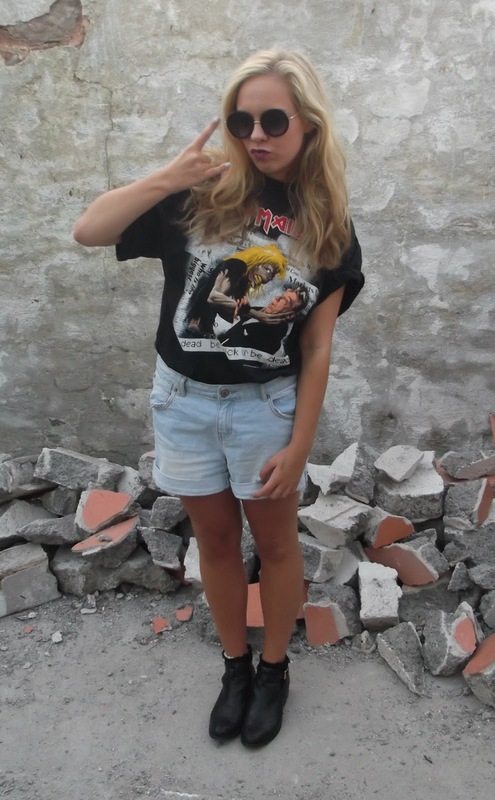 I got together a bunch of my 90s grunge inspired clothes and made a little lookbook. Flower crown headband- handmade by me! I love this outfit. 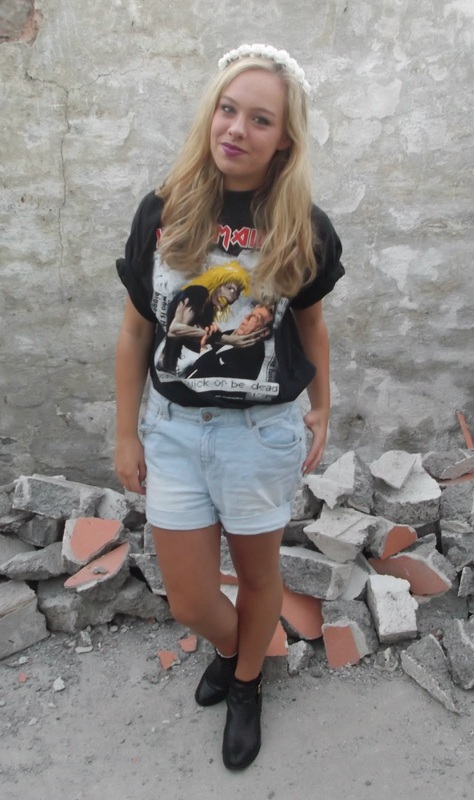 This Iron Maiden t-shirt is vintage, the boyfriend shorts are from New Look and my boots are from Topshop. I like to add different accessories to create different looks. I think this outfit would be perfect for a festival look! This outfit is so versatile; I wear it for a lazy day, running errands or going shopping with my friends! This sweater is a cool 'mouldy green' colour which looks fantastic with black accessories and a deep red lipstick. The top is from ZARA and the skirt is from Topshop. This is the outfit that I probably wear the most. Tartan was a huge grunge statement in the 1990s, so this top from Primark is the perfect way to achieve this look. I love the pop of red which coordinates with my deep red lipstick against the rest of the black of the outfit. To achieve the grunge look (which usually consists of heavy dark coloured clothing) during the summer may sound difficult. However with a cute tartan swing dress, like this one from New Look, its totally floaty and cool but still full of edge. Just add a cropped jumper, like this navy blue one from H&M, for cooler days. Here's the makeup look that I wore for this lookbook. (Unfornately I waited until after we shot the above photos to take a selfie of my makeup so the lighting went really dark, apologies!) A smokey eye is a must for the grunge look. I added an iridescent blue shimmer eyeshadow to the middle of my lids to add some dimension and a pop of colour! 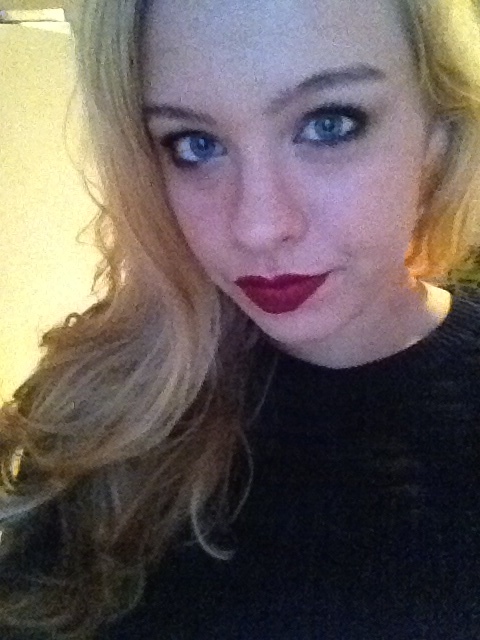 The red lipstick is Kate Moss by Rimmel London in 107 which I think is the perfect grunge-inspired red lipstick! 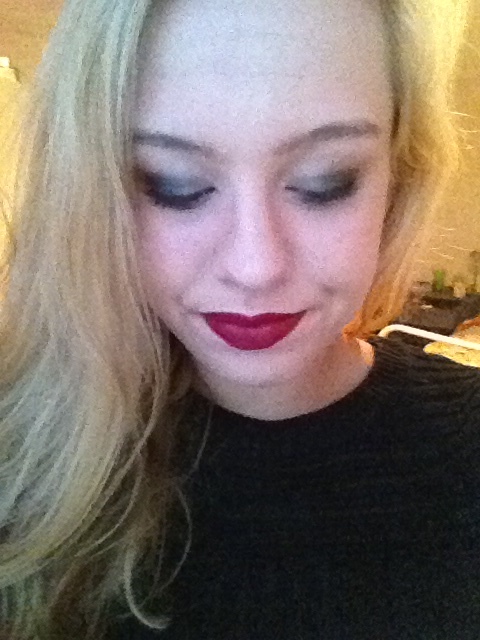 In the first look I wore a bright purple lipstick by Perrie, Little Mix from their Collection edition. You look lovely in all of these outfits - I am so jealous!